So according to the words on the screen, I have been a member here since 02/11/2009. That's a smidge over 8 years. 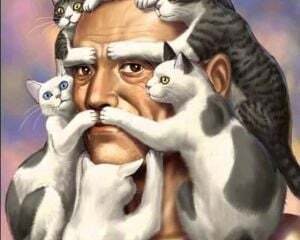 In that time, I've gone from distributing decoder rings as an attempt to ingratiate myself in the community to growing into the role of the resident resplendant black grandmother and finally becoming a moderator. In all that time, this place has been by home. The community has been my home. All of you here make this place very special to me. And I wanted to do something to commemorate that feeling. So I did. Now this isn't my first tattoo and its certainly not going to be my last. It is, however, a very personal and meaningful thing for me. I don't get tattoos on a whim. No one should. I expect a few of you to think I'm crazy for getting this tattoo and I get it. A video game website logo tattooed on your wrist. It reads as impulsive or at the very least brash. But let me assure you, this has been in my head for years. I just had to wait to get to the place where I was ready. 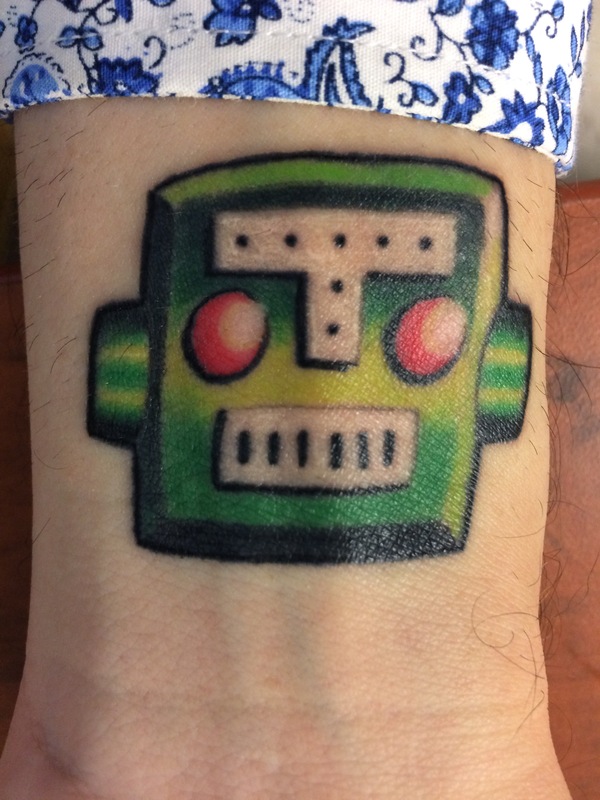 There was a decade in between my last tattoo and this one. Its expensive and painful and close enough to permanent to make you want to consider it very carefully. Just ask your older sibling about tribal bands on biceps in the 90's and you will hear plenty of stories about youthful transgressions. 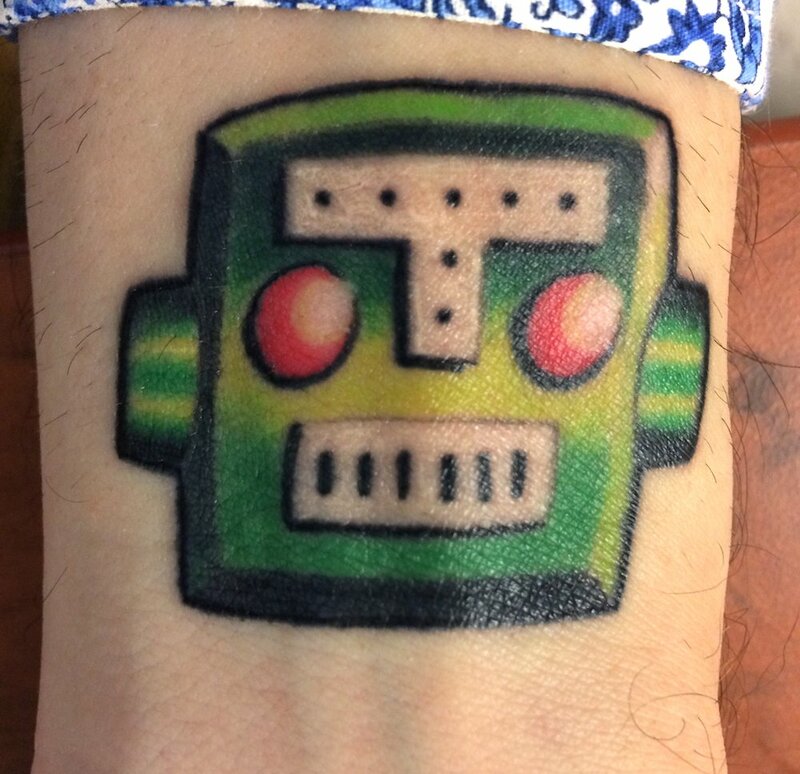 But I can think of no pain more productive and no money better spent than to get Dtoid logo on my wrist. This will always remind me of my time here. Who I am because of this site. The people who have touched my life, some still around, others gone on to whatever the next chapter in their life would be. This is a badge of honor for me. A way to pay back in memory and respect a place that has given me a voice and family and laughter and a few tears. Its a special place filled with special people. This is my reminder that I'll always be Occams. That I already was Occams, I just had to find this place in order to realize it. I've had the pleasure of meeting a few of you and breaking bread. It was one of the happiest moments in my life. Because it made this place tangible. It took a feeling of comradarie and gave it form and words and a setting and experiences. That is priceless. I hope all of you can experience that one day. Even if geography and circumstance prevents you from meeting up and hanging out with your fellow Dtoiders, just know that you have a home here. All of you. So thanks for allowing me a moment of vanity and showing off something I am extremely proud of. I am glad to know all of you and thank you for being such an important part of this place and my life.